Wood burning stoves were first patented in France during the mid 16th Century, and are still a popular heating choice in homes today. The fact that an almost 500 year old invention is still favoured to this day against more modern appliances such as gas and electric fires is confirmation that they’re an incredibly effective heating solution for homes throughout the world. But what are the advantages of a wood burning stove compared to its modern successors? Well, there’s quite a few, and they benefit not only your pocket, but the environment too. Burning wood to heat your home is better for the environment, due to it being a primary source of energy. Electric, being a secondary source, requires the use of primary sources before heating your home. 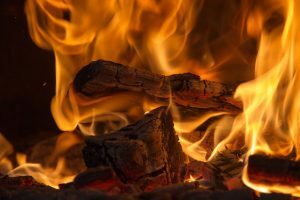 There’s big concern for the environment at the moment, so purchasing a wood burning stove is a smart choice to ensure that we don’t run into an energy crisis in the near future. 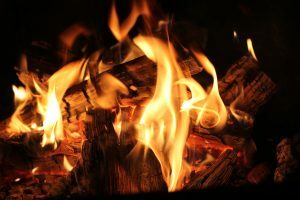 Burning wood has been proven to be cheaper than using gas or electric to heat your room. If you live in a rural area – there’s also opportunities to get free or cheap wood too. Many wood burning stoves make it safe to burn logs throughout the night, meaning you won’t have to wake up to a cold room, providing that the logs you put in before bed burn slowly. Wood burning stoves can also become an aesthetic centrepiece within your home. With so many shapes and styles ranging from very traditional to ultra contemporary, there’s a wood burning stove for every home. They’re crafted from incredibly tough cast iron or steel, meaning they’re built to last the lifetime of your home. Wood burning stoves are now being combined with modern technology. Some contemporary models now allow you to control the airflow through an application on your phone, as well giving you reminders for when you need to add more wood to it. It’s true that wood burning stoves require a little more cleaning maintenance than gas and electric fires, but there’s nothing better than watching real flames from a roaring fire on a cool winter night. For those looking to purchase a wood burning stove this winter, R N Williams have a vast range of wood burning stoves, North Wales.